The Current Probe can be used to measure currents in low-voltage AC and DC circuits or electrochemistry experiments. The Current Probe measures DC and low-frequency AC currents up to 600 mA. The Instrumentation Amplifier monitors voltages from 20 mV to 1 V (DC or AC). It has several switch settings to allow you to select the best gain and includes auto-ID functionality for each of the six ranges. Input bandwidth of 10 kHz allows the capture of higher frequency signals. 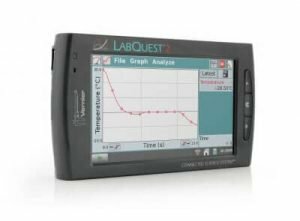 It is typically used to amplify the chart recorder or analog output of any instrument, such as a third-party gas chromatograph. Collect data with the Microphone to display and study the waveforms of sounds from voices and musical instruments. It also works well for speed of sound experiments. The Stainless Steel Temperature Probe is a rugged, general-purpose temperature sensor that can be used in organic liquids, salt solutions, acids, and bases. Use it as you would use a thermometer for experiments in chemistry, physics, biology, Earth science, and environmental science. The Vernier Emissions Spectrometer allows you to instantly collect emissions spectra from light bulbs, gas discharge tubes, or the sun. 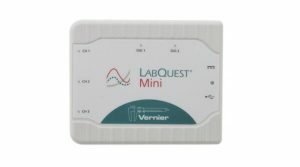 Capture data and analyze it immediately on your computer or LabQuest. The Vernier Power amplifier allows you to drive loads with ±10 V and currents up to 1 A. Works with any waveform, including DC, sine, square, triangle, and sawtooth waveforms. The Power amplifier can drive a variety of loads, including speakers, lamps, small DC motors, and RLC circuits. 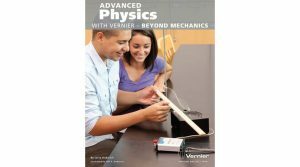 Add the Vernier Optics Expansion Kit to your to conduct optics experiments, such as image formation with lenses and light intensity vs. distance. You can even use the kit to build a basic telescope. Use the Diffraction Apparatus to map light intensity versus position for many-slit geometries. 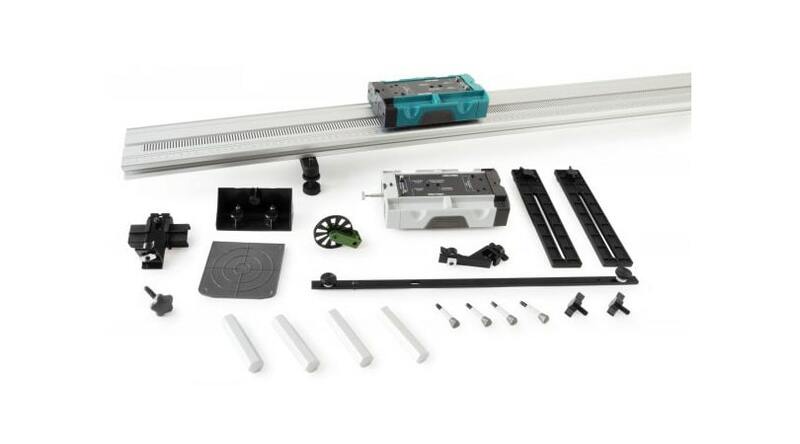 The Optics Expansion Kit requires a dynamics track, which can be purchased as a track or as part of a Dynamics Cart and Track System. This recommendation includes a track, but you can choose to upgrade to a cart and track system. 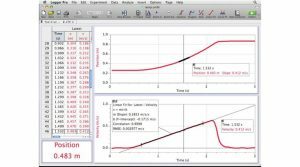 Use Vernier probeware to teach concepts at the college physics, AP Physics, or IB Physics level.